FOUNTAIN GREEN, UTAH - JUL 2015: Wheat field farmer in tractor cutting harvest 4K. Small family owned rural farm grow hay, wheat, barley, oats and other grains for human food and livestock feed. 4k00:28FOUNTAIN GREEN, UTAH - JUL 2015: Rural farm wheat field harvest with tractor 4K. 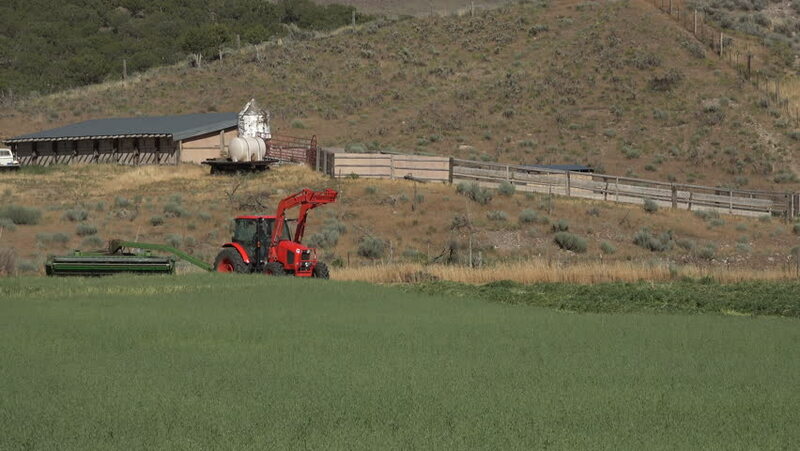 Small family owned farms grow hay, wheat, barley, oats and other grains for human food and livestock feed. Industrial. hd00:29UNITED STATES CIRCA 1960s-80s : A tractor pulls equipment to turn over the top layer of farmland.